Face #2 is finished. 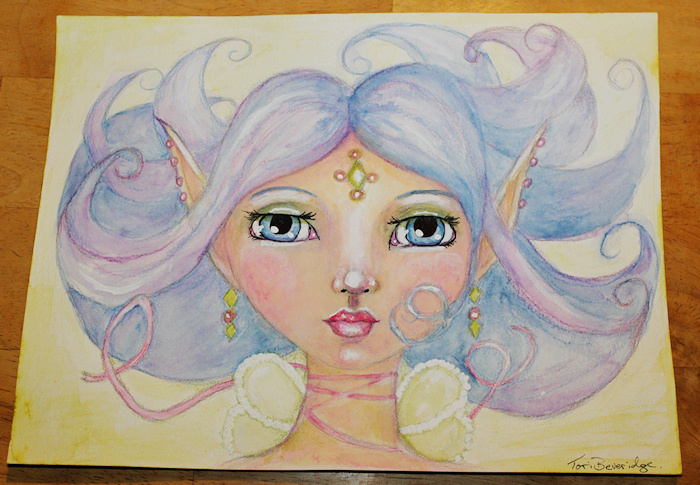 Mixed media including water color, ink, colored pencil, graphite and acrylic. I know I shouldn’t take photos at night, but I wanted to share her with you today. The true colors are so much nicer (especially the background and the shadow under the nose) and the hair color is much richer. If you want to see the sketch I started with, check out yesterday’s posting. 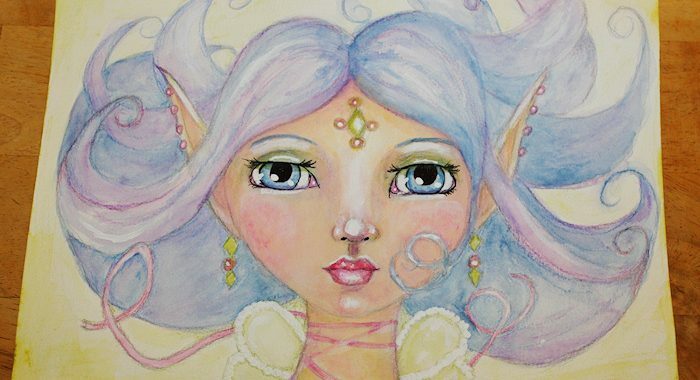 Posted in 29 faces, Creative Every Day, mixed media, portrait and tagged 29 Faces in February 2016, face, fairy, portrait. ← 29 Faces 2016 – Yay! Wonderful colors and beautifully stylized whimsy!